I was planning on feeding 14-16 people. 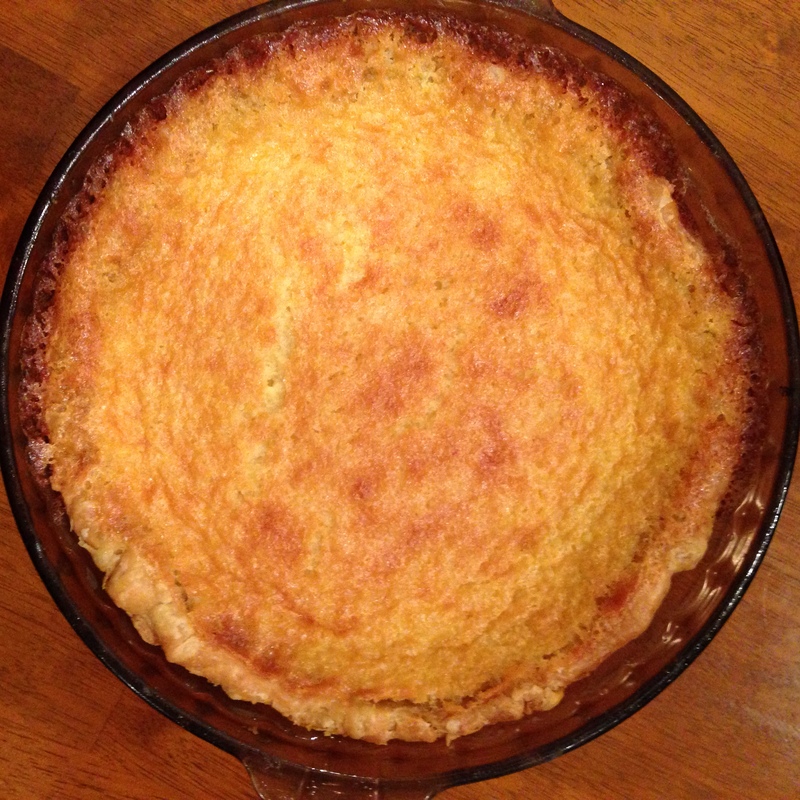 I’ve never eaten a buttermilk pie and was curious how it tasted. I had an extra pie crust and no pie to bake in it. I knew that I would have a lot of leftover pie and wanted more pie to eat. I threw this pie together pretty quickly/easily the night before Thanksgiving after a full afternoon of baking. It is very similar to the chocolate pie that I also baked, essentially substituting the chocolate for buttermilk. The pie smells fantastic, kind of like a sugar cookie, and kind of tastes like a sugar cookie creme brulee. I’m not sure this is the end-all buttermilk pie recipe, but it was a solid initial foray into the land of buttermilk pies. I do think that having a better crust would also help, too, but that is no fault to this recipe. Make pie crust. Preheat oven to 350 degrees, with oven rack placed at lowest position. In a stand mixer, beat butter and sugar until light and fluffy. Add the beaten eggs for a few seconds until just incorporated, then add the vanilla and salt. Mix in the flour, then gradually add the buttermilk until just blended. Pour mixture into pie crust and bake until top is lightly browned and slightly jiggly (45-50 minutes). Cool on a wire rack for a few hours.